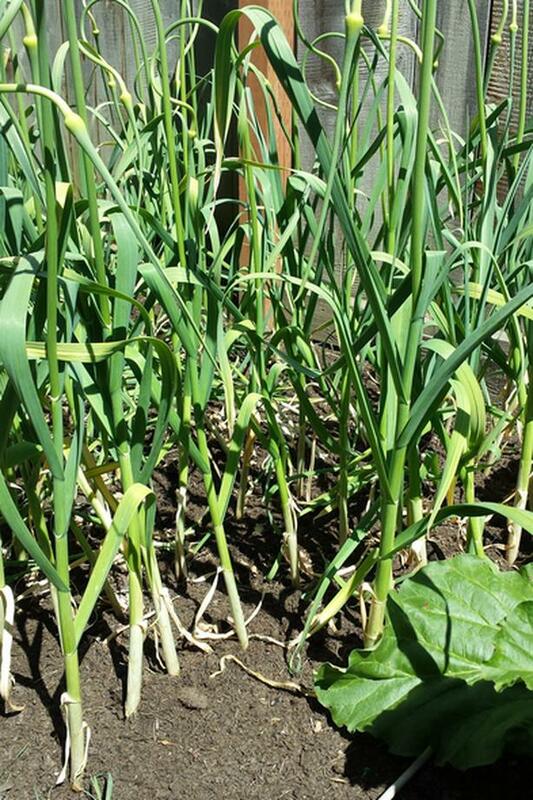 $2 · Garlic Starter Packs (6-9 plants) + Garlic Scapes seed. Starter pack is growing and ready to plant. Will include a bag of garlic scapes seeds which are small garlic bulbs to plant now, and separate next year, replant for larger cloves. 2-3 years for full size. 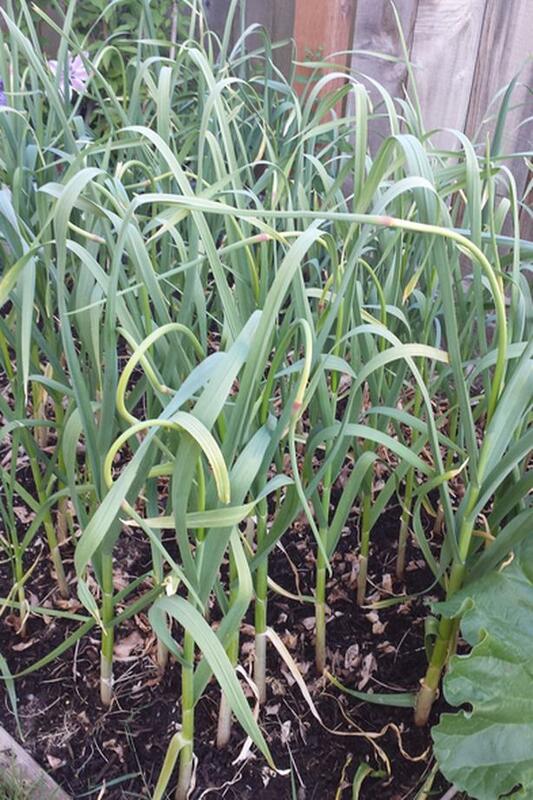 A typical garlic scapes bulb has 30-50 individual garlic bulbs, some of which will be sprouting. Starting them now will ensure a lot of garlic in the future. Will tolerate most soil conditions. 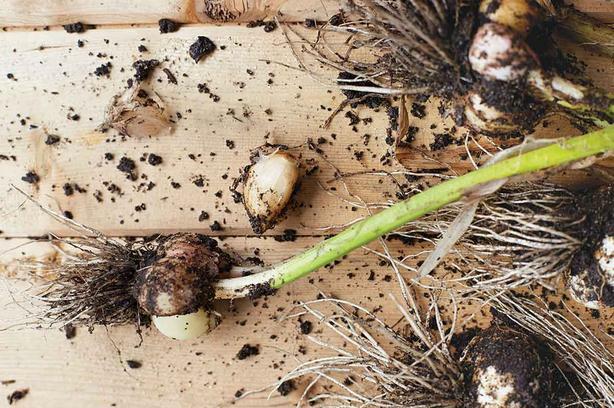 You can plant garlic in the spring, but the plants will be more robust and larger if you plant them in the fall. They will typically take a little longer to mature. Soft-neck plants yield more but smaller bulbs. When leaves turn yellow or brown and about half of them - usually 3-4 leaves are still green they are almost ready. Stop watering for 1-2 weeks, the gently lift and air dry out of the sun until leaves are completely dry. Once dry, trim up the roots, remove dirt (toothbrush helps), leave some stock to help with keep the clove in tact longer, and store. Cool, dry, dark place, with air circulation. Typically cloves will keep for 5-6 months before starting to sprout. Individual cloves also freeze well. 2nd picture is last years crop with scapes....curly single stock.